Munch Time Pizza’s at most duty is to make our customers delightful by providing their taste buds with real Italian tastes. We provide you with a relaxed atmosphere to enjoy our service bite by bite. Just drop in at our pizzeria to enjoy the Italian taste. GROWING GREAT WITH EXPERIENCE OVER YEARS!!! We started our journey to explore the Italian tastes. By tastes, we also mean high quality with innovation to make the best of the pizzas. We made our first flagship COL’CACCHIO PIZZERIA in 1992. Now, we have established well with our experience of so many years. There are 28 branches of our tastiest pizzeria all around the country!! NOT ONE IN MANY BUT UNIQUE!!! Pizza is officially rated as the most popular food. We are most popular in providing you a family and a friendly environment where you will enjoy every bite of your pizza!! You will never ever forget the experience in our pizzeria!!! We are not one in many pizza restaurants that are being opened in this great nation. We are unique in making tempting perfect Italian pizzas with great quality. We have a number of staffs with dedication and sincerity, who put their mind to care our customers. We take much of our time to serve you the best of the pizzas in this vast nation. DINE ‘IN’ or ‘OUT’?! THE CHOICE IS YOURS!!! Parties??!! Celebrations ??!! Casual dinners??!! Anything can be made in an elegant way in Munch Time Pizza. Please step in at our Italian- inspired express pizzeria to eat in. 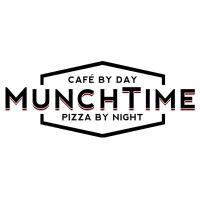 Munch Time Pizza is time-saving. So, we make your food not only fast but also fresh that is best for you!! Step-in and enjoy our Italian-inspired meals with the comfort of your own home. In simple words, you can feel the home away from your home when you get into our restaurant!! If you feel very comfortable at your home, you can grab a take-away to eat out of our pizzeria. Our staffs will satisfy your requirements as you wish! You can also call 0207 607 7956 from your home without any hesitations at any time between 10 A.M. to 10 P.M., to order a convenient delivery. We will be at your doorstep on time to serve you! !